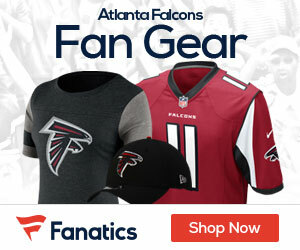 Monday, January 14 at 10 a.m.
Atlanta Falcons NFC Championship tickets will go on sale Monday, January 14 at 10 a.m.
To purchase tickets, please visit Ticketmaster.com, any Ticketmaster location, or by calling Ticketmaster at 800-745-3000. Tickets are very limited and are expected to sell out quickly. NFC Championship playoff tickets are limited to four (4) per person. We need your help to make sure that the Falcons Home Field Advantage is stronger than ever!